Having a single Excel workbook limits user access. If you have multiple individuals touching inventory, only one can edit your workbook at a time –- again increasing the probability of errors. Lastly, Excel also limits your ability to quickly analyze historical data. Effectively managing inventory requires you to know how much of a certain item you need on-hand during different seasons. The ability to forecast inventory need is integral to meeting your customers’ demands. How Are You Tracking Your Inventory? When you first opened your company’s doors, Excel met your inventory needs. 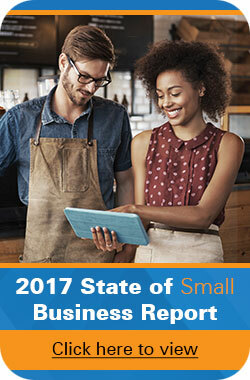 If you were like most small businesses, you had a small staff and a small, relatively easy to manage inventory. However, as your business has grown and will continue to grow, the Excel limitations detailed above will prove to be very real hurdles to overcome. It’s time to move to a more efficient, cost effective system; one of those milestones each small company needs to achieve. Remember, inaccurate inventory counts have far-reaching, negative effects that impact both your customers’ experience and your bottom line. Although the reasons detailed above should cause you to pause and ask, “Should I use something other than Excel?” you may still hesitate. Why? Simply put, change is difficult. Until you analyze just how much money you are losing (whether that’s due to loss of sales or loss of actual inventory) and compare that loss to the cost of investing in an inventory management solution, you’ll probably find a way to keep doing what you’ve always done. However, please keep in mind “administrative errors, such as errors in receiving processes or accounting errors, account for 15.3 percent of inventory loss”. Over time, that loss impedes your company’s ability to compete. sorry but what a nonsense.. this is just to plug your own system. We’ve been using Excel for over 3 years now and no errors so far. just hire people that know how to use it. Thanks for your feedback David. It is great that Excel is still meeting your business’ needs – we agree that it is “easy, convenient, & cost effective”. Our customers seek our solutions when they are outgrowing the scope and capabilities of Excel. For instance, our Inventory Control solution allows you to quickly pick or recieve stock, in the warehouse, & update your records via wi-fi on-the-go as well. The reporting also allows you to make informed business decisions about your inventory turn-over & when items are running below pre-defined stocking levels. Want to integrate with QuickBooks – no problem – the list goes on & on about how automated inventory management systems offer more functionality than Excel. I developed few inventory systems in VBA Excel. Knock on wood there no issues or complaints what so ever. It can generate reports, making suggestions and devide what really the business need to do… Compare Excel and Wasp I can only say there is lots of money invested in Wasp. Yes a stand alone system always be better than Excel, but in these days all businesses focuses on one thing! Cut costs, saving money! I will not say that Excel better than Wasp, BUT, reading the “advert” above make Excel image bad. You try to compare a Ford to Ferrari. The size of the company, amount of inventory, type of inventory, rate of turnover, need to integrate with other systems, etc is the relevance and also the risk management. If you are using vba and your guru who set it up leaves or is sick, you could be exposed. It’s not a cut and dried argument. If Excel works and isn’t causing headaches, then you’re fine. If in doubt get a consultant in for a quick assessment. I think Frank is right, SaaS is definitely the way to go for small businesses. I’d like to throw in a shameless plug of our software : cyberstockroom.com. Our main goal is to make it super easy to use and efficient for business owners and managers.